Home >Tea News > Promotions > Love & Laughter – forever Christmas! Love & Laughter – forever Christmas! Jingle more bells this holiday season with a FREE collectable tea storage caddy filled with Madura English Breakfast – 50 tea bags! 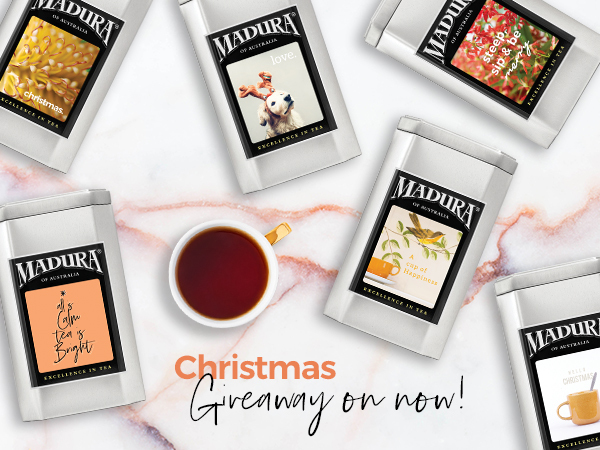 Just spend $50 in our online store and we will send you a FREE collectable Christmas caddy bursting with Madura English Breakfast tea bags – it is that simple. Keep it, share it or just gift it – either way there are 50 delicious cups of English Breakfast awaiting their new owner! Steep, sip and be merry!